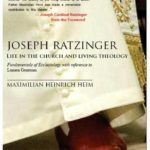 "This is a major work on the theology of Joseph Ratzinger, now Pope Benedict XVI, by a highly regarded German theologian, priest and writer. Since his election to the Papacy, Ratzinger’s theology, and in particular his ecclesiology (theology of the Church), has been in the limelight of theological and ecumenical discussions. 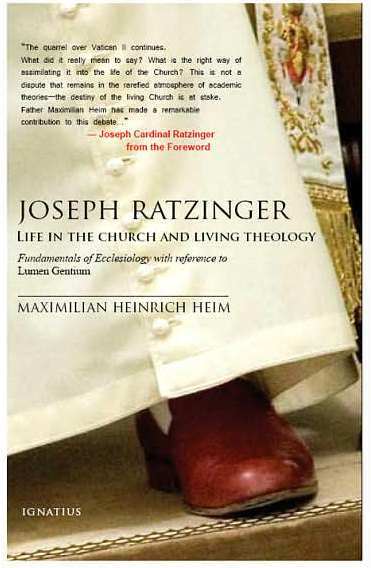 This important work studies in detail Ratzinger’s ecclesiology in the light of Vatican II, against the ongoing debate about what Vatican II really meant to say about the life of the Church, its liturgy, its worship, its doctrine, its pastoral mission, and more. Has his theology of the Church changed since Vatican II, or has it continued to develop consistently? Is the Catholic Church one church among many churches? Is she the object of hope or a historical reality? Ratzinger the theologian figures centrally in this investigation, not as the former Prefect for the Congregation for the Doctrine of the Faith, but as a thinker and as a writer." Das Buch ist bei Ignatius-Press erschienen, aber problemlos über den Klosterladen unter bestellung@stift-heiligenkreuz.at, das gilt auch für die deutsche Ausgabe.